After their son and daughter-in-law died in a motorcycle crash earlier this year, a Canadian couple decided to put their son’s Pontiac Parisienne up for auction to help raise his two young children. But instead of buying the car, bidders donated roughly $76,000 in an emotional showing of support, Global News reports. According to the news site, Canadian couple Brent and Nicole Keryluke died in May after their motorcycle was involved in a crash with a truck in a small town near Red Deer, Alberta. The two were in their mid 30s, and are survived by two children, now aged three and six. 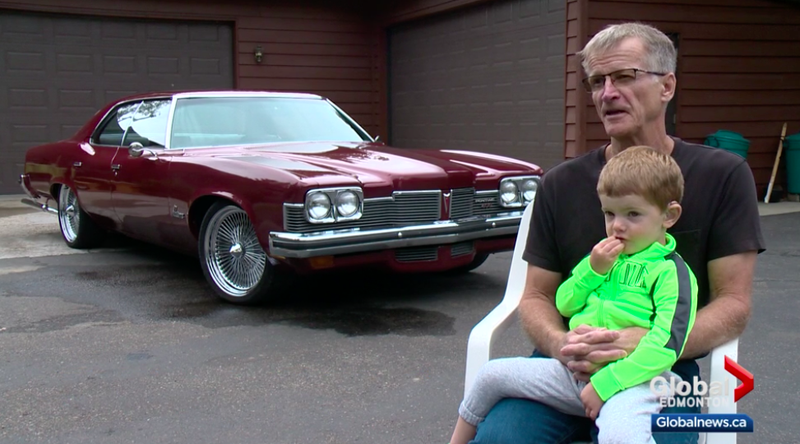 The children are now being taken care of by family members including their grandparents, who—to help pay for the children’s medical costs—decided to sell their late son’s 1973 Pontiac Parisienne at an auction. That’s where—after the auction house explained why the grandparents were selling a vehicle that was originally meant to go to the three-year-old when he turned 18—someone bought the car. Then donated it back. These weren’t lowball bids either. The first person bought the car for about $22,000 (~$29,000 CAD). The second spent about $23,000 ($30,000 CAD). And the third paid about $15,000 ($20,000 CAD), only to return the vehicle to the family so that the young boy can someday drive his father’s Pontiac. In total, Global News says that, between these generous gestures and other donations, folks attending the Electric Garage Auctions raised about $76,000 ($100,000 CAD) for the two children. Brougham Of The Day: Pontiac Parisienne Brougham!